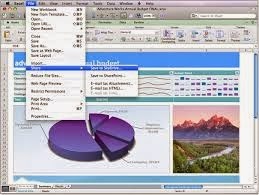 The Bridgewater Public Library will offer a “Basic EXCEL” workshop at 6:00 p.m. on Monday, March 17th. The workshop will be taught by Jerry Muller. Mr. Muller has been using EXCEL in finance, business planning and marketing since the program was introduced. “Basic EXCEL” will be held in the Flora T. Little Meeting Room on the lower level of the library, located at 15 South Street. Participants should bring their own laptops.